If you are staying in Greece or going to travel to Athens soon, let us extend a warm welcome to our country. Greece is a beautiful destination that offers a lot of pleasures and good time to visitors. Among other things, you may have noticed that Greece has a great level of private health care, mostly because of the excellent training of the treating doctors. Have you ever considered a smile make-over or a dental implants treatment, while staying in Athens? In our clinic the treating dentists, Drs. Evangelidou and Siamos, are US-trained prosthodontists who work on your case with all the personalized care and the time-efficient way you deserve. If you need your missing teeth replaced or your smile changed, then we are the right people for you. We provide prosthodontic care of outstanding quality and precision, in better prices compared to the rest of Europe and USA. 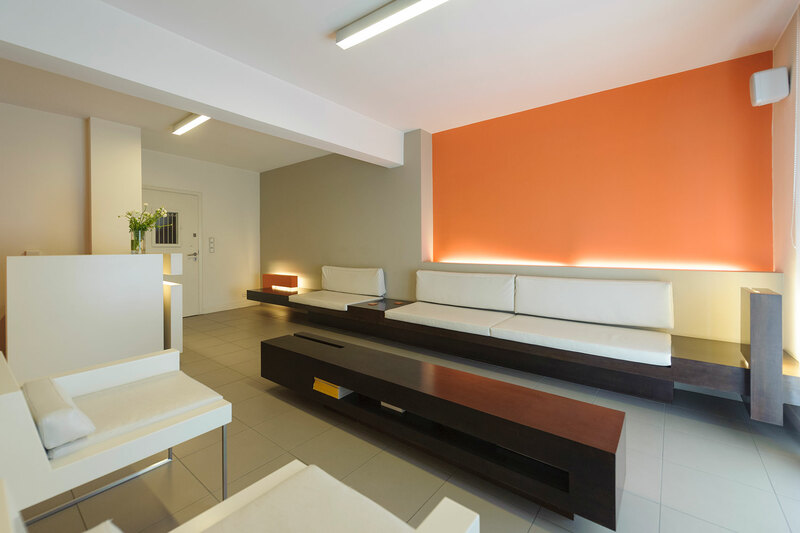 DentArtistry, our dental clinic, is a private prosthodontics practice, located in a renovated space in the center of the Athens, with excellent public transportation, designed to be pleasant for the patients and functional at the same time. The clinic is equipped with 3 dental chairs and contemporary dental equipment as intraoral cameras, air abrasion and projection screens. Hygiene standards are high. We use the most modern means and techniques for sterilisation and disinfection of the equipment. Dentists and personnel speak English fluently, you will be able to communicate with us easily. We work time-efficiently, but our major goal is the high quality of your treatment. This is the reason the type of treatments we offer to our international patients, depend on the number of days you will be staying in Athens. My husband has just finished with his new bottom implants with a bridge. I am so very happy that I found this dentist. Dr. D was very thorough and very patient with my husband. My husband has some health issues so I was very concerned about this procedure and she was very honest with the ups and downs which is very important to know. We always got appoints that worked fine with our schedule and were always told to CALL RIGHT AWAY if there were any problems or questions. I am not greek and she was very patient with me also when I was asking questions, and yes she does speak English and her assistant is also part of her service who was also very good with my hubby. The price was very reasonable. You can not always go for the "CHEAPEST" because that is what you will get "CHEAP QUALITY" and lets be honest this is your mouth, you want to eat and smile and feel comfortable! If you are a traveler and have an emergency then this is the place to go, and if you live in Greece this is the place to go. I remember saying to my husband the very first appointment before we went inside " Ioannis if there is anything scary WE ARE LEAVING" and to my surprise this was the best experience we had!!! Before you waist your time going anywhere else go to see Dr. D and believe me you will be as happy as we are!!!!! I am Australian and have been a grinder all my life grinding my teeth down to half size. I was very fortunate that while I was working in Greece I was introduced to a Prosthodontist, Domna. Domna is a highly professional lady with very reasonable prices compared to Australia and speaks excellent English. I have no hesitation in recommending her to anyone that needs a professional dentist. I want everyone to know that she is a great dentist!!! We are from the USA, we needed to find a dentist and I was sooooo happy to find her!!! She is very caring!!! Thank you Domna, you are the best!!!! Hello Everyone, I am one of the regular patients of Dr Domna Evangelidou and residing in Greece just for 4 years so it definitely makes me a tourist. Greece is undoubtedly beautiful and worth seeing. Dr Domna carries all tasks diligently and is meticulous in her profession. I always feel comfortable with her hands and satisfied each time I step out of her office. She has also been advising on the verbal procedures on telephone which makes her a good person too and not only working with an intention to receive a paycheck, this I believe is a strong point. She is kind and a happy face to see. I was very glad to read this article as I am a writer myself and like to read good writings likewise. Thank you for making me feel happy each time I have to communicate with you. I wish you and Dr George Siamos success in all your future endevours. Browse through our website, take a look at the cases we have treated and think if you deserve excellent prosthetic work in better prices, compared to your country. If you think you do, we are here to work with you.